CHICAGO - The city of Chicago sent inspectors to check 117 stores during the back-to-school shopping season and found violations at 52 of them. 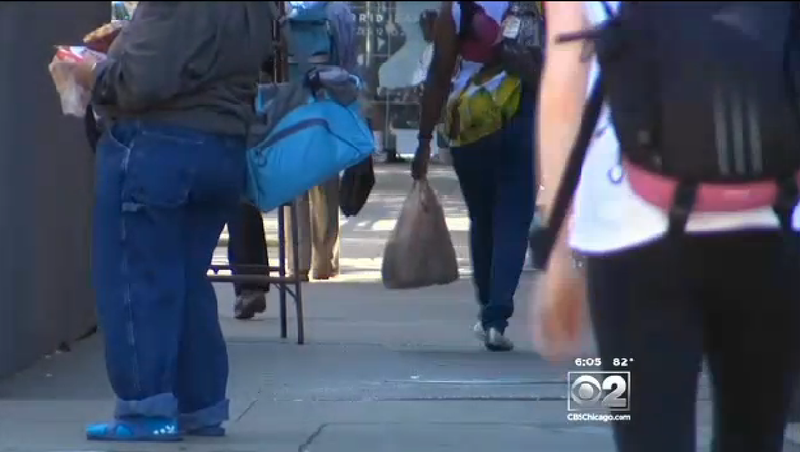 Now, some major retailers are facing stiff fines as a result, reports CBS Chicago. "The reason we did this investigation is because the mayor wanted parents to worry about their kids' education, not worry about whether they're going to get ripped off at the store buying pencils and binders," Business Affairs and Consumer Protection Commissioner Maria Guerra said. The investigation reportedly found advertised prices for school supplies often did not match what shoppers paid at the cash register. Investigators looked at stores in all 50 wards in Chicago, and found violations in the biggest chains - including expired food. Asked if there has been any indication of progress since inspectors visited stores several weeks ago, Guerra said, "We've issued notices to correct, so we're going back to the stores to make sure the items that were mispriced are correctly priced." In all, the city issued 170 citations, carrying fines of $2,000 to $5,000, reports the station. Representatives from Walgreens said the company welcomes feedback on how to better meet customer expectations. "We have a 113-year history of acting in our customers' best interests and earning their trust. That will continue to be our focus in all areas. We always seek to continuously improve, and we welcome feedback on areas where we are not meeting customer expectations," spokesman Jim Graham said. Office Depot promised to make sure its stores follow proper procedures. "Office Depot is committed to providing the products students need for the important back-to-school-season. We are investigating this matter to better understand the findings and ensure our stores follow proper procedures for outdated merchandise," spokeswoman Julianne Embry said. Mariano's Fresh Markets apologized for human error leading to the sale of outdated merchandise. "It is never our intention to carry any outdated items. We sincerely regret the human error involved and apologize for any inconvenience it may have caused. Our store teams will continue to monitor our merchandise to ensure we deliver the experience our customers have come to expect from Mariano's," spokesman James Hyland said in an email. Target spokesman Evan Lapiska said, "Target is committed to providing quality products and accurate pricing to our guests. Should guests have questions about something they see on our shelves, we encourage them to let one of our team members know and we will Make it Right."